Following a record verdict in a trial in Missouri, litigation against Johnson & Johnson over its talcum powder ended in a mistrial in California. Previously, a jury in Missouri awarded a record $4.69 billion in July to more than 20 women who traced the source of their cancer to the company’s baby powder. This verdict is under appeal by Johnson & Johnson. 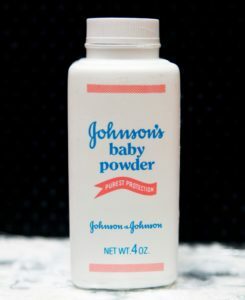 “The world’s largest health-care products maker faces more than 10,000 other suits claiming its baby powder caused cancer,” Bloomberg reports.